Two bellwether trials in the Axiron testosterone litigation had been scheduled for January and March 2018. In one case, a plaintiff alleged that Axiron had caused his heart attack. In the second case, the plaintiff alleged that the testosterone product had caused deep vein thrombosis (DVT). These two cases were going to be the first trials over injuries sustained by Axiron in the multidistrict litigation, or MDL. Nevertheless, on December 21, 2017 Eli Lilly announced to the judge that a framework for settling all Axiron lawsuits had been reached by the executive committees for the plaintiffs and defendants. The terms of the proposed settlement were not announced. The judge gave both sides forty-five (45) days to finalize the terms of the settlement. 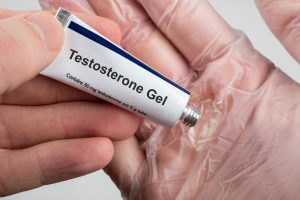 The Axiron testosterone cases are part of more than 6,000 lawsuits brought against several testosterone makers, including Eli Lilly, AbbVie, and Auxilium. On the strength of this settlement announcement, Judge Kennelly postponed the upcoming Axiron bellwether trials and all trial deadlines. In a way this is a shame, as several bellwether trial verdicts give all sides a clear picture of how juries view the harm done. Of course, there is serious risk on both sides in trying these cases. If a jury awards a huge amount of damages, the defendant company will eventually pay more in the larger settlement. If several juries find no link to the product and the injury, the plaintiffs suffer. We will not get to see what juries thought of the Axiron testosterone product at this point. I will update you here as soon as the Axiron Master Settlement Agreement is released. I must admit I saw this coming. I essentially predicted it. I wrote about Mr. Mitchell’s large punitive damages award in August, which you can read here. You may recall that I pointed out then the serious problem with the jury’s verdict: that it awarded punitive damages without any award for compensatory damages. As I explained months ago, to support an award for punitive damages, there usually must be some award for actual damages. Think of this way: in order for a plaintiff to qualify for a punitive damages award, that plaintiff must show that he has been directly harmed by the product, even if the harm is minimal. In this case, Mr. Mitchell suffered serious harm: a heart attack. However, the jury could not agree that the heart attack was caused by the Androgel testosterone. Nevertheless, the jury did believe that AbbVie, Inc., the maker of Androgel, should pay for its fraudulent misrepresentation. The jury agreed with Mitchell’s claim that AbbVie targeted middle-aged men with misleading marketing that Androgel could treat low testosterone and improve lives. The jury then awarded a huge punitive damages award, with no underlying compensatory damages award. The jury appeared to find that AbbVie should be punished for fraudulent marketing, even though it could not connect Androgel to Mitchell’s heart attack. As I said then, this was a “glaring problem” with the jury’s verdict. And Judge Kennelly, last Friday, tossed out the award altogether. He wrote that it was illogical to assert “simultaneously” that Mr. Mitchell had been damaged and not damaged. The judge wrote that the verdict was “internally inconsistent.” He makes a point. Plaintiff Jesse Mitchell will get a new day in court. Judge Kennelly ordered a new trial in the case, although a new trial date has not been set. But again, as I wrote above, there is risk for all sides in any trial, and Mr. Mitchell’s case is an excellent example of this risk. 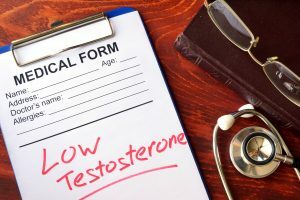 If you took any testosterone product in the past and suffered injuries, give me a call (919.546.8788) to discuss your potential case.